conference report; medieval letter writing | What is a letter? At the symposium ‘What is a letter? 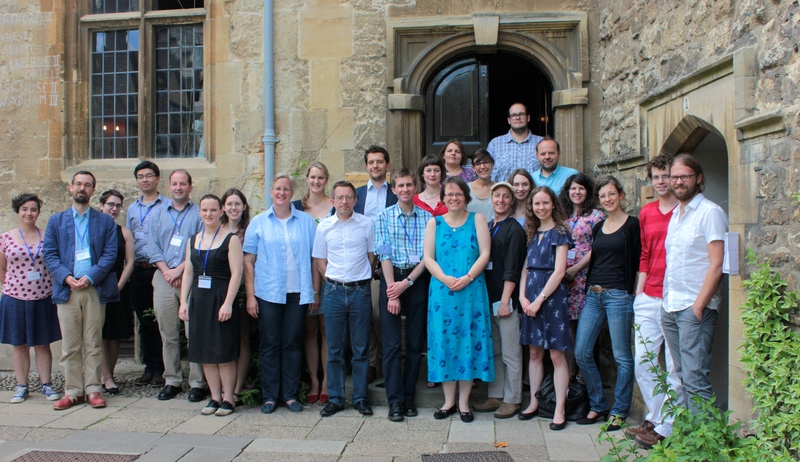 An interdisciplinary approach’ (2–4 July 2014, Oxford), Lena Vosding M.A. (Düsseldorf, Germany) gave a paper entitled ‘Gifts from the abbey: the letters of the Benedictine nuns in Lüne (1460 – 1550)’. Below is a summary of the paper which Ms Vosding has kindly provided. 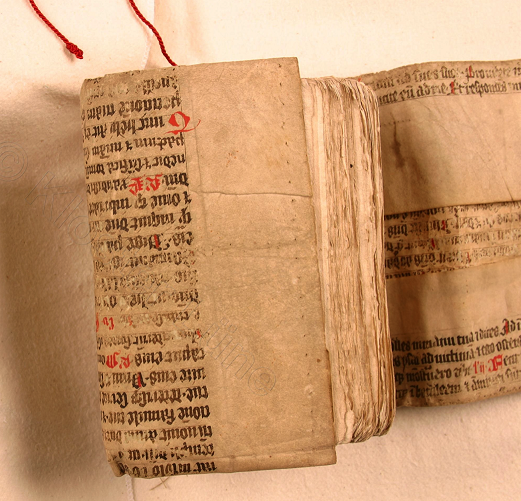 If your research is also concerned with medieval letter books similar to the one presented here, Ms Vosding would love to hear from you; her contact details can be found at end of this post. In my paper I presented the hitherto unedited and little known letterbook of the Benedictine convent in Lüne (near Lüneburg, Germany) into which the medieval nuns copied a significant amount of their written communication in the period between approximately 1460 and 1550 (Lüne convent archive, MS 15, MS 30 and MS 31). In three volumes there are about 1.800 copies of letters or letter fragments, some written in Latin, some in Low German. They cover a broad range of topics and addressees: there are letters to and from other convents, to and from the provost, the Lüne town council, the bishop, the duke, or families and relatives of the nuns. The letters deal with economic or legal matters, donations, liturgical practice, conflicts, friendship, spiritual edification, and theological interpretation of key social events such as childbirth, death, marriage, or investiture. There seems to be a connection between the chosen language and the respective addressees: correspondence with the Duke, the town-council or other laymen is written in the vernacular, while correspondence with the provost, the bishop, other clerics and the neighbouring monasteries is held in Latin. The communication with other convents is predominantly written in a mixture of Latin and the vernacular. By examining two selected letters I tried to provide an insight into the characteristics and significance of this extensive collection. 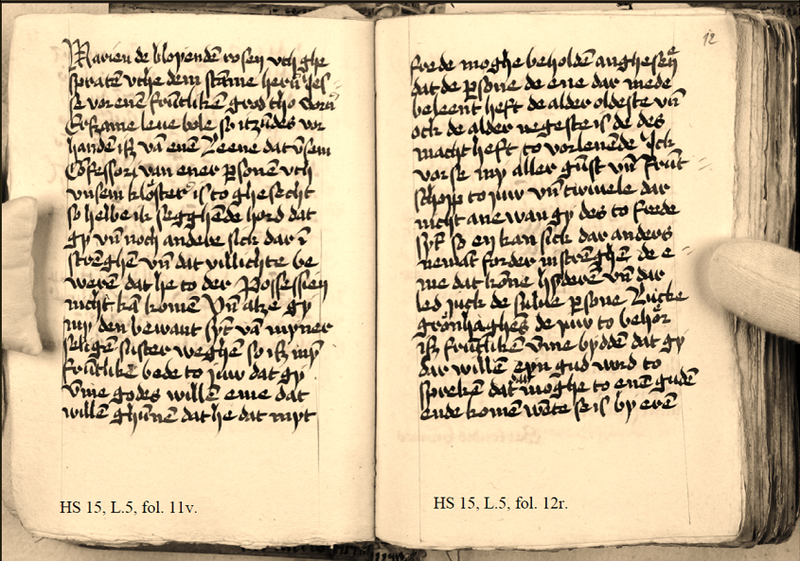 The first is typical of many letters which concern the community’s economic and judicial interests: on 15th September 1525, Sister Gertrud Brome urged her lay relative to cease his attempts to prevent their confessor from receiving a fief granted by a sister or resident of the convent (see an image of the manuscript (© Kloster Lüne); transcription/translations). The second, longer letter, which congratulates the daughter of one of the convent’s benefactors (and possibly one of the nun’s relatives) upon her wedding, is a typical model letter: there are no dates or names given and it seems to be compiled from at least three different sources (see an image of the manuscript (© Kloster Lüne); transcription/translations). A close reading of both texts suggests the meaning which the letters had for the nuns: on the one hand, for them, their letters were a medium that enabled them to be present in places they could not personally reach due to their strict enclosure. It kept the essential networks – whether they be theological, social, or judicial – of their convent alive. On the other hand, they understood their letters as the materialization of what their particular task was as late medieval nuns: the spiritual care, the intercession for clerics and laymen. For the nuns these texts served, finally, as proof of their adherence to the official rules for the convent’s communication with the outside world which were laid down by the bishop in 1462 (Doc. no. 578, in: Brosius, Dieter (ed. ): Urkundenbuch des Klosters Lüne, Hannover 2011, pp. 499–500). All these aspects might have been reasons for the nuns to collect letters they had sent and received from the 1460s onward. Furthermore the copies in the letterbook probably had an additional function: It seems quite plausible that the letterbook was created in response to an external threat: it was evidently composed over a single period of time – not until the 1530s -, and this was when the convent was being confronted by the Reformation. As a collection, bound as a book, the letters therefore served to support the nuns’ self-reflection, their sense of purpose in the world and – as model for future communication – their composure and self-control at a time when the existence of their convent was called into question. But these ideas only address one aspect of the letterbook’s function. It became obvious in the course of the discussion following my paper that there are still many more aspects to be investigated: for instance the collection also contains peculiar texts such as a short letter about a wild sow in a nun’s cell (see an image of the manuscript and a transcription/translation, © Kloster Lüne). This comprehensive analytical task will form the subject of my doctoral thesis, which will deliver the first analysis of the manuscript so that we can hopefully soon better understand the nuns of Lüne and their letterbook. An edition of the Lüne Letters is planned by Prof. Dr. Eva Schlotheuber (Düsseldorf). This entry was posted in Conference, Medieval letter writing and tagged conference, conference report; medieval letter writing, letterbook, materiality on 26/08/2014 by mis. As one might be able to glean from the photo above (which shows most our speakers and some of our delegates), the symposium ‘What is a letter? An interdisciplinary approach’, which took place from 2 to 4 July 2014 at St Edmund Hall, University of Oxford (Oxford, GB), was not just a very productive but also a truly enjoyable event. Our heartfelt thanks for making the symposium such a success goes to the speakers, to the delegates, to the curators of the Bodleian Library (in particular Wilma Minty and Chris Fletcher), and last but not least to all St Edmund Hall staff who worked away in the background to help things run smoothly. Special thanks is also due to our sponsors: The John Fell Fund, The Leverhulme Trust, the TORCH network Enlightenment Correspondences and St Edmund Hall; without their support this conference would simply not have been possible. A full conference report, together with more photos, will be made available on this blog, soon. The conference proceedings will be published in hard copy in due course. In the meantime, our conference brochure with details on papers presented (in both English and German) and biobibliographical information on our speakers can be found here. Some of our speakers have kindly agreed to share their presentations online. The first presentation, now available, is by Dr Alan Scott whose paper was entitled Letters 2.0? 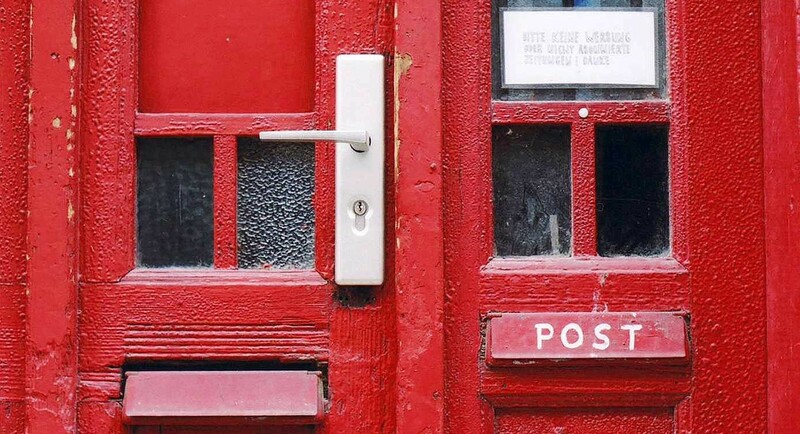 Linguistic insights into the extent to which social media are a substitute for personal letters. This entry was posted in Conference, Conference report and tagged conference, conference report; medieval letter writing, presentation; proceedings on 18/07/2014 by mis. A report on the conference Brief und Kommunikation im Wandel. Formen, Autoren und Kontexte in den Debatten des Investiturstreits (20.02. to 22.02.2014, Bonn/Germany) is now available on HSK. This entry was posted in Conference report and tagged conference report; medieval letter writing on 17/06/2014 by mis.